Top Hat is the active learning platform that makes it easy for professors to engage students and build comprehension before, during and after class. This is one in a recurring series titled “Academic Admissions,” where we ask interesting people to tell us about the transformative role education has played in their lives. Dr. Steven Sloman, author of the Knowledge Illusion and Professor of Cognitive, Linguistic, and Psychological Sciences at Brown University, is a cognitive scientist who specializes in how people think. He has studied how our habits of thought influence the way we see the world, and how the different systems that constitute thought interact. 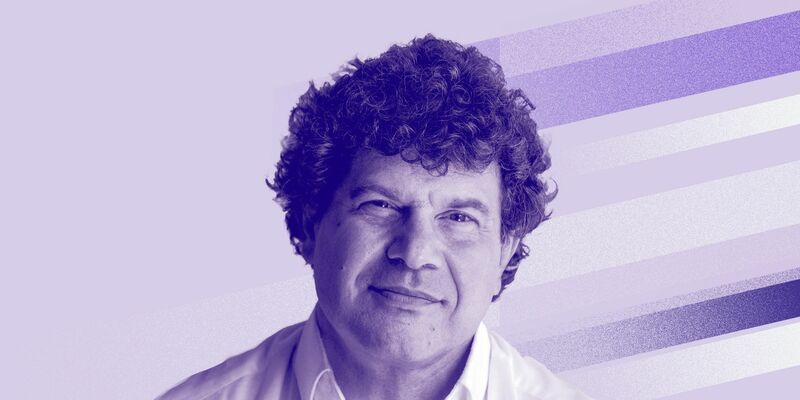 In many ways, Sloman was born to be an academic—utterly driven, he immersed himself in learning from an early age—but his own journey took him into the relationships between the real world and intelligence, and the right way to communicate and apply ideas. Sloman’s work has been discussed in the New Yorker, The New York Times Book Review, Vice, the Financial Times, the Economist, Scientific American, National Geographic, and more. There are some people who were just born knowing what they wanted to do. In my case, the decision to pursue education was almost made in the womb. It always seemed like a natural fit for me. I grew up in a family where the pursuit of higher education was encouraged, and I was very aware of it from a young age. My parents created a home in which big questions were asked. They encouraged us to think about everyday things and to question everything. They fostered an environment that made me want to pursue an education, because I felt like life was an education. I’ve never really felt a huge gap between the classroom and life. In both cases you’re engaged in this never-ending pursuit of trying to understand. And I’ve often wished that it were more appropriate in the natural world to be pursuing those same questions that you’re encouraged to pursue in the classroom. I was born in Montreal but my family moved to Toronto when I was seven. I grew up in a neighborhood in which people were very much encouraged to be financially successful. I felt that they were quite materialistic. I attended public schools, but I didn’t feel like I had a lot in common with most of my classmates. So I chose my friends from the small group of people who cared more about ideas. I found I needed to be surrounded by people who were similar to me. I was a kid who was always willing to take on a debate and make an argument. I didn’t shy away from that. As a teenager, I did a lot of reading. 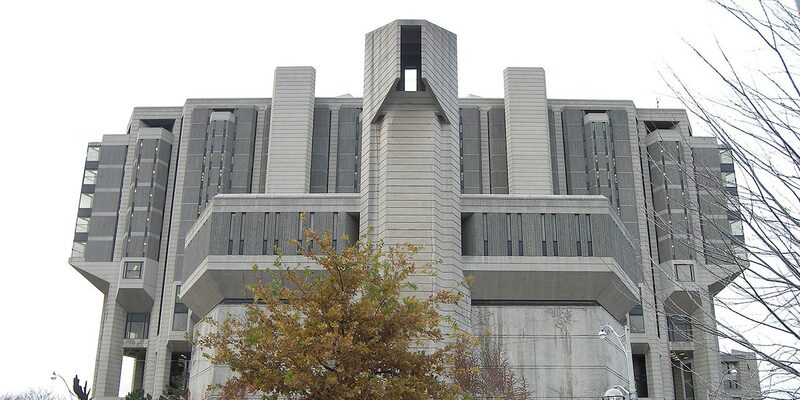 When I was in high school, my sister and uncle were at the University of Toronto and they would spend all their time hanging out in Robarts, which was the main university library. So, I had this vision of just being with other university students, discussing politics and other intellectual matters. It didn’t really work out that way for me. At least, not right away. After I graduated from high school, I wanted to leave Toronto. I went to The University of Western Ontario (now known as Western University). This school was a two-hour drive west, so it got me out of the city. And that was a huge learning experience. I found it a very dissatisfying intellectual environment. It was very difficult for me to find people who I could communicate with. I ended up transferring after my first year and went to the University of Toronto (U of T). It was the right decision for me, because I felt it provided a much more intellectually rich environment in which I could learn. At the end of my first year there, I got involved in a psychology lab. That proved to be a turning point for me. Finding that lab opened up this world. I became very attached to it. It was during my time at U of T that I decided I wanted to become a cognitive psychologist. I ended up prolonging my time there just so I could learn more. I spent an extra year, taking classes half the time and working the other half in the lab. When it came time to apply for graduate school, I looked into what the strongest programs in cognitive psychology were and I only applied to those. There were only four programs total. I figured if I didn’t get into one of the best, I didn’t really want to go. I got accepted into three of the four. I didn’t know every single professor at each of the institutions. I was familiar with some of their work, but I didn’t know them in detail. So I started asking around. I spoke with a lot of faculty members at U of T, asked them what their recommendations were—what would they do if they were in my shoes? There was a consistent pattern of them advising me to go to Stanford. So I packed my bags and moved to Northern California. Stanford was eye-opening. It was just transformational. In some good ways, and in some bad. I mean, it was transformational in the sense that, I was surrounded by smarter people than I knew existed. I spent four incredible years at Stanford, eventually earning my PhD in Psychology. And the whole thing was a very different kind of experience than U of T was. The biggest thing for me was being surrounded by the smartest people I had ever come across. They were people who had changed the world. They’d won the most awards. In articles and books and newspapers, they were the ones who were referenced the most. And I was brushing shoulders with them every day. They were also the easiest people to understand. They would speak with a kind of clarity that just made it impossible not to follow what they were saying. And for me, that was a huge lesson. Because often—at least in my life—I’ve found that people get credit for being smart simply because they’re hard to understand. Right? They use big words, and they speak in these roundabout ways, so people think ‘Oh, well they must be smart.’ I think the main thing I learned at Stanford is that opaqueness is not a sign of intelligence. Rather, clarity is a sign of intelligence. While I was at Stanford, I also learned the value of interdisciplinary research. I learned that there were ideas that cut across disciplines. And I understood the value of being open-minded, and discovering things well outside your discipline. One of the negatives of my experience at Stanford was that I became a little one-dimensional. I became a kind of rational machine, and lost a little bit of my soul that way. But I still loved the experience of being there. After I graduated and received my PhD in 1990, I immediately started a post-doc position at the University of Michigan. As an academic, if you want to succeed, it’s hard to take time off. Because people look at the hole in your CV, and they wonder what you were doing. Why weren’t you productive during those years? If you want to take a gap year or travel for an extended amount of time, that’s something you should do before grad school, or even before you start college. So off I went to the University of Michigan. By 1992 my post-doc was complete and I accepted a position at Brown University. I’m still there today. My current research is focused on collective cognition and how we think as a community. It’s a topic that I elaborate on in depth in my book that I co-authored with Phil Fernbach last year, The Knowledge Illusion: Why We Never Think Alone. Essentially, the book is about how we don’t know as much as we think we do. And how our knowledge is actually not independent knowledge, but community knowledge. Look, I’ve been curious my whole life. Most of what I’ve done over the years is “basic science,” research that doesn’t have direct practical application. But I’ve always been motivated by the desire to do work that bears on real-world problems. So, for example, in behavioral and social sciences—and this is actually true in a lot of physical hard sciences as well—there’s this huge gap between doing basic research, and doing applied research. Unfortunately, a lot of applied research is not informed by basic research. And basic research, put simply, is too abstract and theoretical to inform applied research. But what I learned at Stanford was that there is at least one exception, which is the field of judgment and decision-making. Here there are some really basic ideas about how people work that can be applied to solve real world problems. It’s not so much that I’m interested in solving real world problems, although, doing so is nice. It’s that when you can solve a real world problem, using fundamental ideas about how people work, it’s the best possible argument that you’re right. I hope that the book can help build a bridge between basic theoretical issues, and how to think about their application: what their relevance is in the real world. In terms of teaching, I just started a new concentration at Brown called Behavioral Decision Sciences. It’s an effort to give students the opportunity to combine questions about psychology with issues in economics and political science, using the tools of computer science. So, it offers a kind of interdisciplinary smorgasbord of options for students. And the idea’s a sort of a hybrid between a standard and an independent concentration. Students are able to specify an area of specialization and pursue that. So, they can really make the concentration their own. We launched this concentration earlier this year in the spring semester (2018). The response from students has been great. It’s already a substantial concentration in my department. Students really like it. We don’t know yet how big it’s going to get, but there’s been a lot of interest. Associated with that, I teach this undergraduate course called Making Decisions, a basic introduction into the philosophy and psychology of decision-making. I have almost 250 students enrolled next semester, and at Brown, it’s one of the bigger courses on campus. Students these days have it harder than we did, I think. I think they feel more pressured. The world has become much more specialized. And it’s harder to compete. I think there are fewer students who are able to sit around, asking fundamental questions about the nature of the universe. And there are more students who want to develop skills for a career. That kind of changes everything, right? It means that there are fewer big, open, abstract questions asked in class. It means that students are more focused on grades than success. They probably work harder, although, it’s a little hard to tell, because the nature of their work has changed so much. And they’re very much integrated with technology. They and their laptops are part of the same system. I feel there’s a greater stress among the students. It’s a shame. The world is constantly changing, and it’s changing faster and faster. It’s really important not to get stuck in a rut or focus on developing skills that are going to be outdated in a few years. It’s much more important to develop the tools for gaining skills, than it is to acquire specific skills. You have to expect that what you’re going to be doing is going to be different in a few years’ time. I think that’s just the way things naturally progress. But, if you have a basic fundamental understanding of whatever it is you’re interested in, you’ll be fine. If you’re interested in computing, say, then it’s important you have a deep understanding of the science of networking, as opposed to just mastering a couple of languages to code in. With the theory behind you, you have the tools to learn new languages. And if you’re interested in how to study the mind, then you have to be open to developing new techniques, and understanding new theoretical perspectives. It means really focusing on fundamentals and mastering those fundamentals, so that you can acquire new skills easily. Would I recommend my career path to anyone else? Yes. Every job has its pluses and minuses. Sometimes I find the politics of academia a little overwhelming. I don’t think I’m alone in that. But it definitely gives one an opportunity to develop the lifestyle that one wants. I’ve essentially been able to take a childhood thirst for knowledge and turn it into my job. If you know how to take advantage, academia can give you more opportunities than almost anything I can imagine.